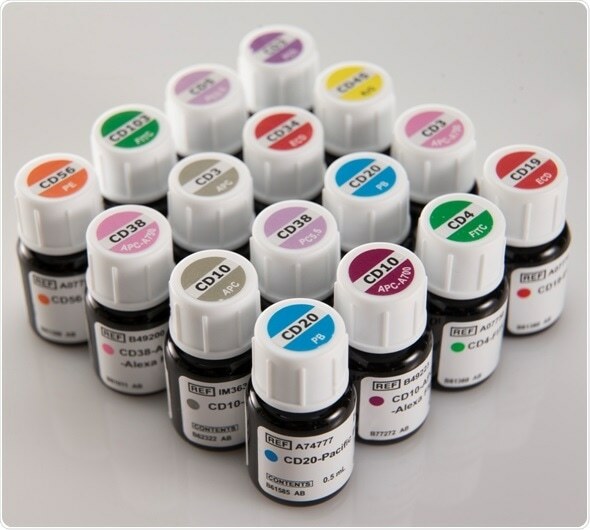 Beckman Coulter Life Sciences now offers its largest portfolio of single color CE-IVD and ASR (analyte-specific reagent) conjugated antibodies. With the recent launch of two Kappa and two Lambda polyclonal antibodies, the company has introduced more than 30 additional CE-IVD reagents and 10 new ASRs in the last year. The entire portfolio of single color antibodies for flow cytometry is manufactured under Good Manufacturing Practices (GMP). The portfolio is featured at the 70th American Association for Clinical Chemistry (AACC) Annual Scientific Meeting and Clinical Laboratory Expo (CLE), being held July 29 - August 2, 2018 in Chicago. Beckman Coulter Life Sciences, part of the Danaher Corporation, is exhibiting on booth #3612 alongside Beckman Coulter Diagnostics (another Danaher company). High standard, single color reagents are at the heart of robust and consistent lab-developed tests (LDTs). Even so, establishing robust, accurate and reproducible assays can be a challenge. Dr Koksch referred to a recent study published in Nature which showed that monoclonal antibodies were among the most commonly used tools in life sciences but also the greatest source of false findings. Poor quality conjugated antibodies, their specifications and performance can significantly distort data interpretation, in particular when analyzing abnormal populations. To be able to routinely run Lab Developed Tests (LDTs), a high-end lab needs skilled staff with significant expertise in data interpretation. However, even with the right staff and robust procedures, poor reagent quality often leads to failed quality controls, challenges in interpreting data - and can even lead to false results. Beckman Coulter has more than 30 years’ experience in conjugated antibody development and manufacturing which has seen them command a market leading position. The company also builds efficiency into its antibody labeling with the product specificity on the top of the cap label to speed up product identification and workflow.